Assess current processes and practices to identify potential efficiency improvements to minimize the total cost of your operations, and identify specific ways your company can improve quality and service. Provide you a summary of recommendations to improve quality, service and cost performance of your operation. On receipt of our Summary of Recommendations for improvement, you will have the option to engage Global4PL to implement a customized plan of action to maximize efficiencies and realize costs savings – immediately. Global4PL is an award winning innovative supply chain service provider focused on delivering an all-inclusive range of supply chain services. Our assessments have resulted in cost savings of up to 53% of our clients' supply chain costs. 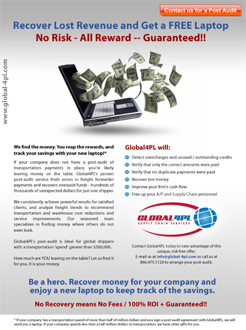 Global4PL's experience has saved 94% of our clients money. 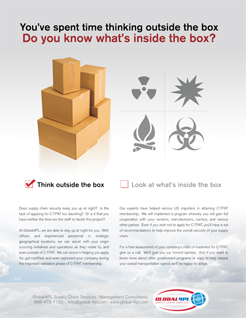 Contact Global4PL today to take advantage of this unique, risk free offer. 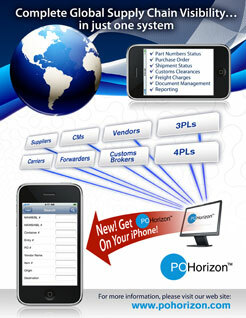 E-mail us at info@global-4pl.com or call us at 866.475.1120 to schedule your assessment.